For processes for creating synthetic fibers with thicknesses measured in individual microns, the question becomes what is technically possible, and to what degree peoples’ needs can be met. Our passion for technical development in this field, and our keen observation skills, reading how society is changing, are the sources of Kyowa FineTech’s innovative concepts. The precision gear pumps used to spin and stretch the fiber we create have been widely praised for their high levels of precision and quality. We work closely with synthetic fiber manufacturers, earning their trust as one of the few companies capable of both hardware and software system engineering. The manufacturing of gear pumps requires extremely high precision processing and design technologies tailored to how customers intend to use the gear pumps. Our gear pumps can be used not only for spinning but also film and tube formation, painting, fixed amount adhesive application, and various other uses. We are happy to develop and design products that meet our customers’ needs. Maintaining gear pump performance is essential to the continued manufacturing of high quality products. Kyowa FineTech uses maintenance and technical support for gear pumps to always produce the highest quality of products. You can rely on us, with our dependable gear pump inspection and diagnostic capabilities, to not only supply new products, but to propose optimal usage methods. Our precision gear pumps have been widely praised for their high levels of precision and quality, and are used in a wide range of production lines. We provide proposals that are not only highly efficient and economical, but also focus on energy saving and safety, precisely meeting our users’ needs. We will further refine our technical development strengths to standardize our models, achieving greater efficiency and meeting even higher level needs. Our precision gear pumps provide stable discharge precision even when working with varying pressures or viscosities. Our precision pumps are built with a high level of processing precision, making individual components mutually compatible. We carefully select materials and thermal processing in order to achieve long operating lives and stable performance. * Individual gear pump usage ranges will differ. Please inquire for details. * Specifications not listed above may be possible in some cases. 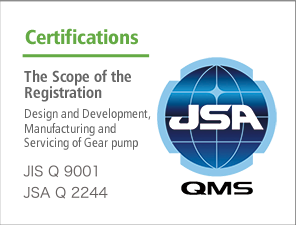 Please consult with us regarding any difficulties you encounter with pump selection. Liquid delivery, measurement, pressurization, spinning, paint application, tank feed, additive mixing, branching, spray coating, adhesive, etc. We can select the optimal gear pump to meet customer usage conditions and required flow rates. 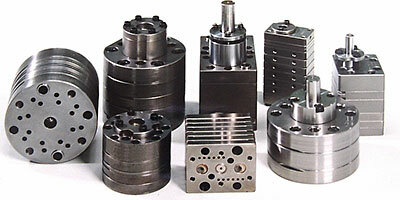 We also manufacture units including gear pump drive mechanisms and gear pump blocks. Please enter your requirements in the gear pump selection specification and contact us.Please enter your requirements in the gear pump selection specification and contact us. 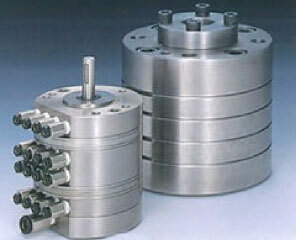 If you need a drive unit, please fill out this form and contact us.